A Penn State-Altoona student has been charged with stealing the bicycle of another student — twice. The Altoona Mirror (http://bit.ly/1kAeKVn ) reports Monday that campus police are mailing two theft complaints to 19-year-old Brandon Graham. Police say Graham stole the $465 mountain bike on Sept. 14 after it was parked unlocked on campus. The owner spotted the bike the next day and took it back. 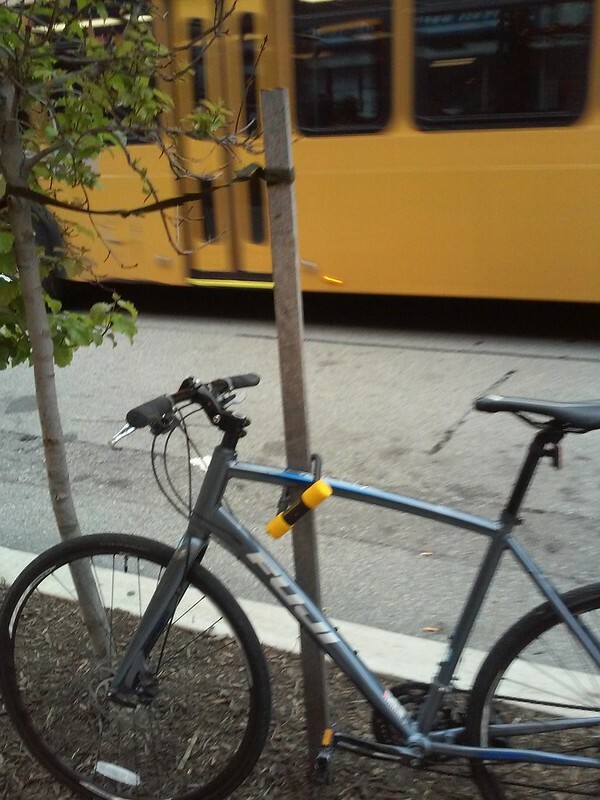 Police say the bike was stolen again on Oct. 6 when the owner, again, parked it unlocked on campus. A friend of the owner’s saw Graham on the bike on Oct. 22, which had been spray-painted another color. Police say Graham eventually acknowledged stealing and repainting the bike, which ruined it. Graham, who is from Philadelphia, didn’t immediately return a call and emails for comment. I think I saw that guy locking up on Friday. I and another cyclist had just vacated the nearby rack, but there was still another empty one maybe 30 feet farther away. At least he did not lock to the tree.